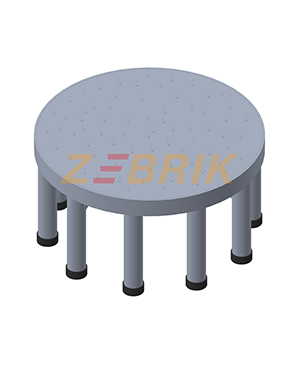 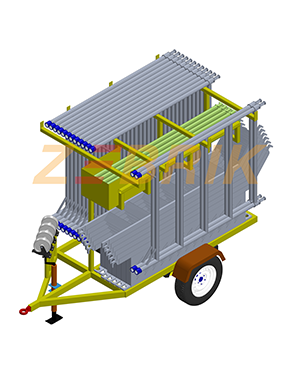 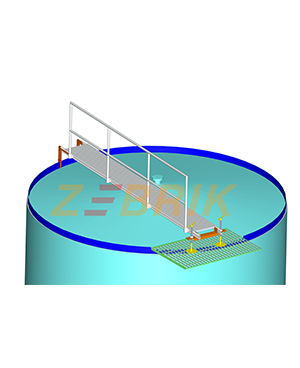 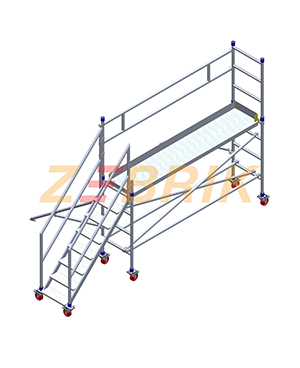 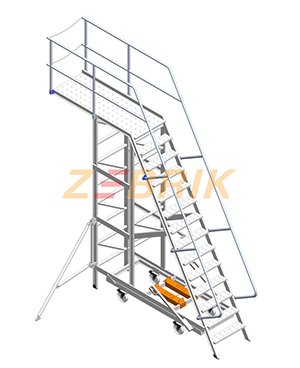 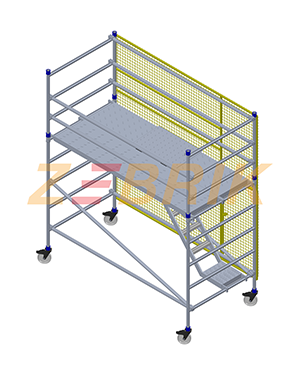 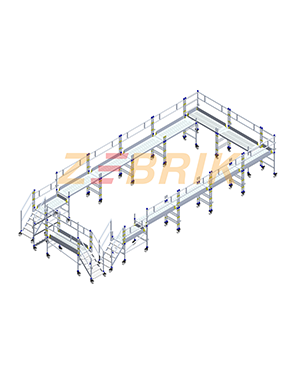 Working platform can accommodate 4 persons at a time. 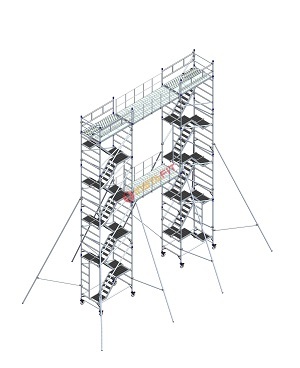 Unobstructed access to work area due to unique design. 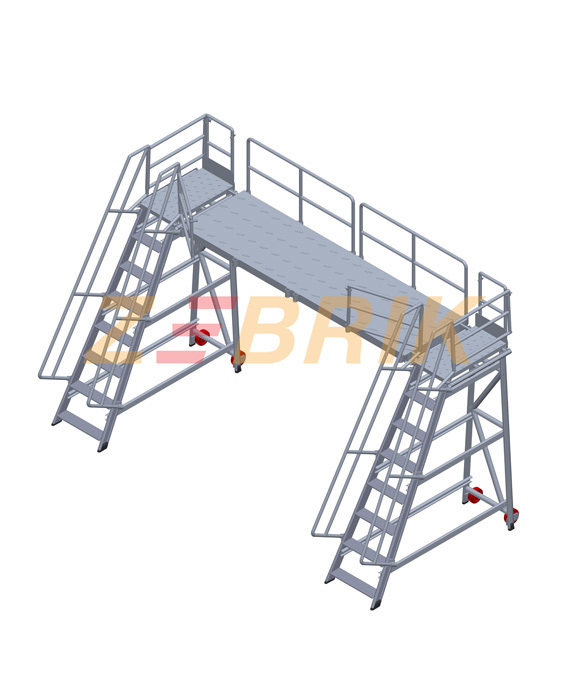 It is a low access platform with wide steps. 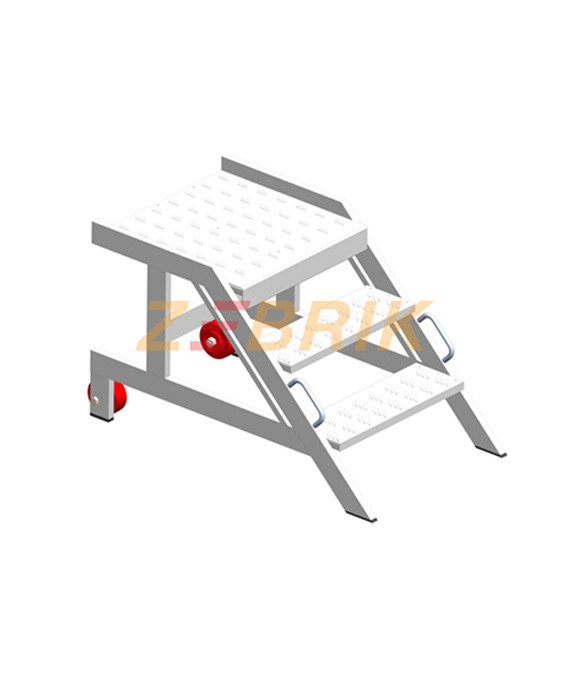 Attached with wheels for mobility. 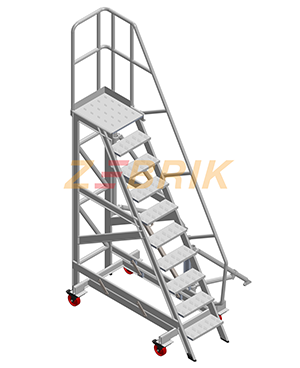 The ladder with front entry used to step into the cabin. 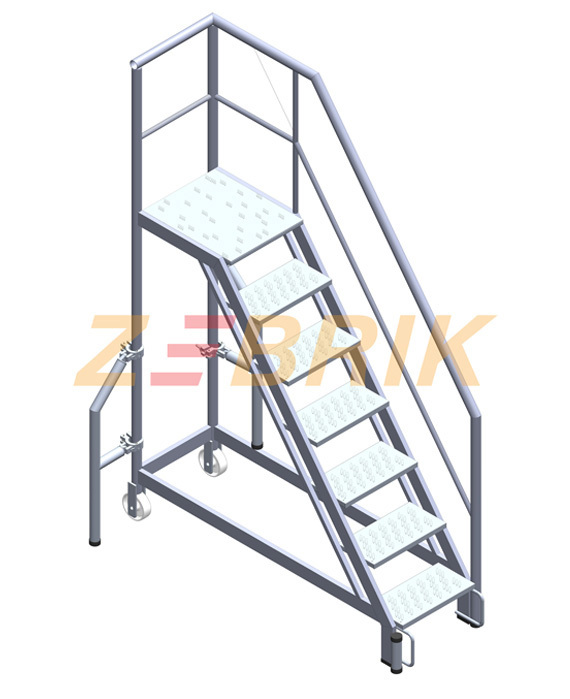 Fixed with handrails for easy climbing. 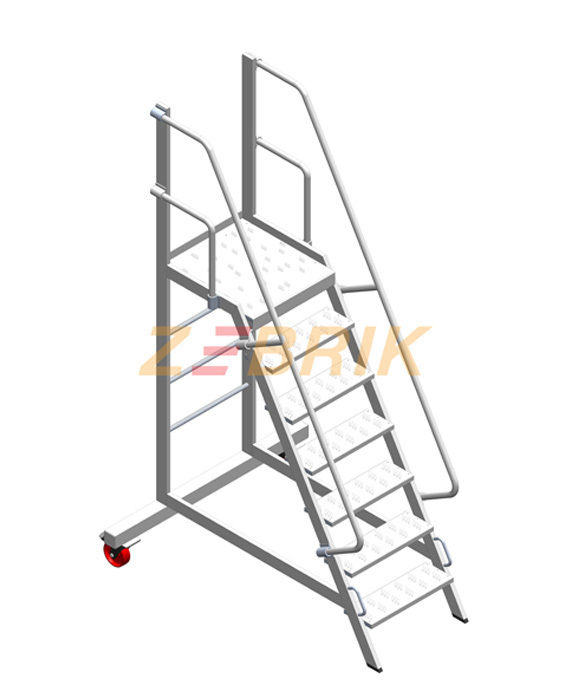 It is a ladder used for Maintaince. 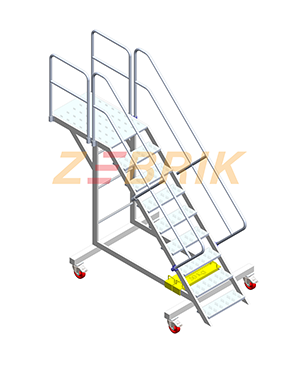 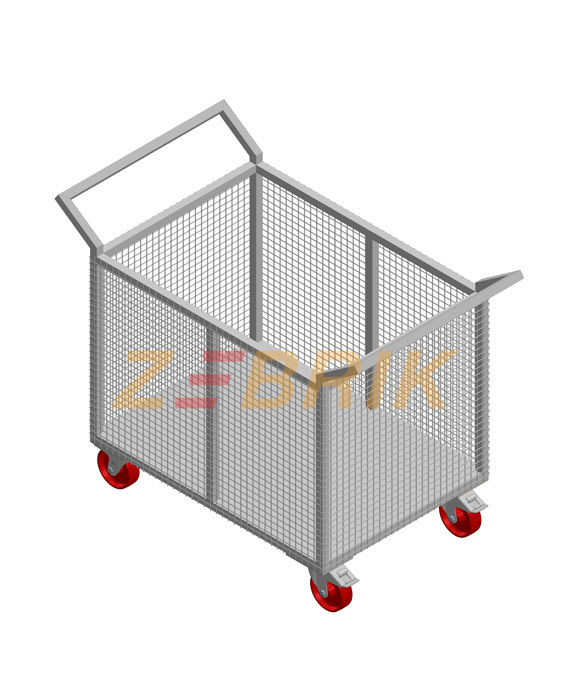 Fixed with handrail for easy climbing and wheels for mobility.